The students behind "Image of Liberia" Film Festival are building a new movie house in Monrovia. Before Liberia's two civil wars its capital city, Monrovia, had a lot more entertainment options for young people. Teenagers learned traditional dance at cultural centers. Reading clubs flourished throughout the city. Families took their kids to two movie theaters on the weekend. All that disappeared and much of it has yet to return in these peaceful times. 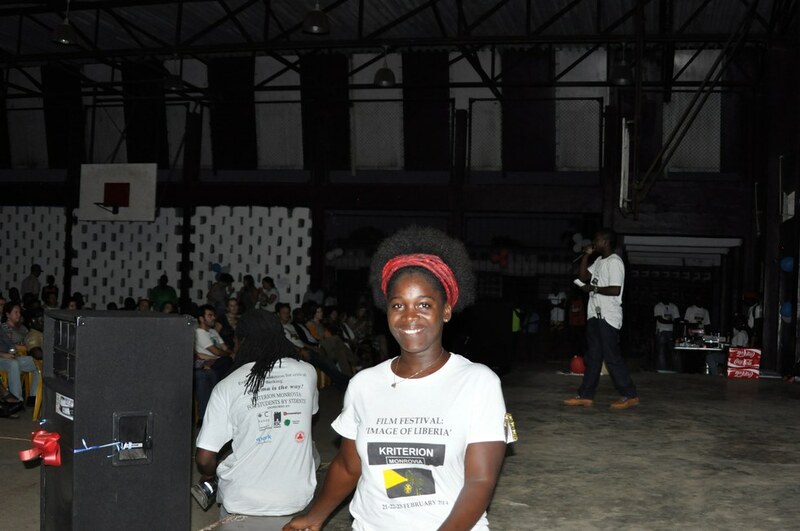 A few years ago, a group of young Liberians began showing movies across the country to offer people a cultural leisure activity. Since its beginning in 2012, Kriterion Monrovia has done 40 screenings in more than 20 communities throughout Liberia. These screenings were so successful that the founders organized a film festival in 2014, "Image of Liberia." Now the founders want to make it official and build an independent arthouse cinema in Monrovia. Over the next month, Kriterion Monrovia is running a crowdfunding campaign to raise 50,000 Euros for a cinema. So far the group has raised almost 12,000 Euros. 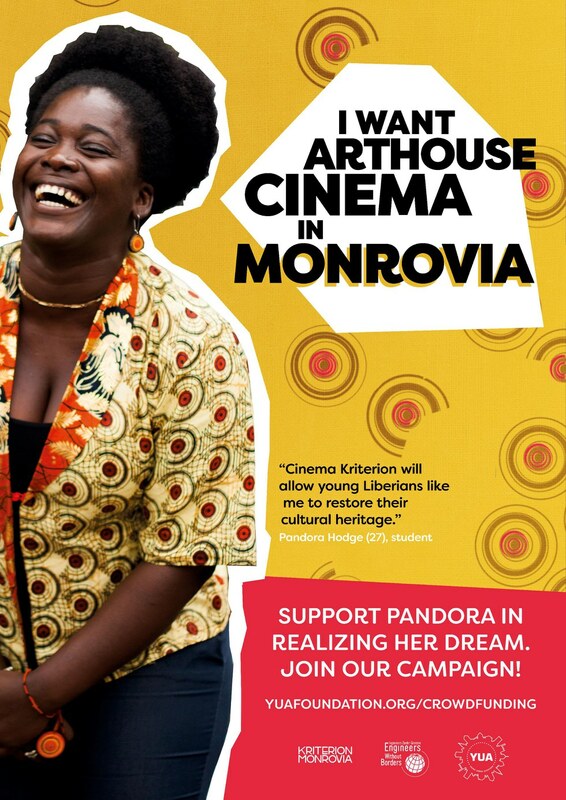 "We want to bring the culture back to Monrovia," says Pandora Hodge, the project coordinator of Kriterion Monrovia. "We want to give a new vibe to these people. For us to start this and have people feel like they can go and relax in a cinema— that's showing development too you know," says Hodge. A team that includes a program officer, finance officer, supervisor, secretary and more than 70 volunteers are working to raise the funds for the cinema. The cinema will not only show movies that are financially accessible to local Liberians, but it will also be a place for young Liberians gain work experience and plan the future of Liberia. Kriterion Monrovia will be a cultural center for music, exhibitions and social gatherings. Kriterion Monrovia is based on a cultural project that originated in Amsterdam after the second World War—Kriterion Amsterdam. Students involved in the anti-Nazi movement in Amsterdam started the cinema to fill the void of culture that the war left. Back then it was run as a cultural foundation that helped university students with living costs. In that vein, Kriterion Monrovia is supported by Young Urban Achievers, a Dutch foundation that helps young people around the world to set up their own business in the cultural sector. Like Kriterion Amsterdam, Kriterion Monrovia cinema will be run entirely by students like Hodge. Liberia's economy is improving but it's difficult for young students to study and earn money at the same. 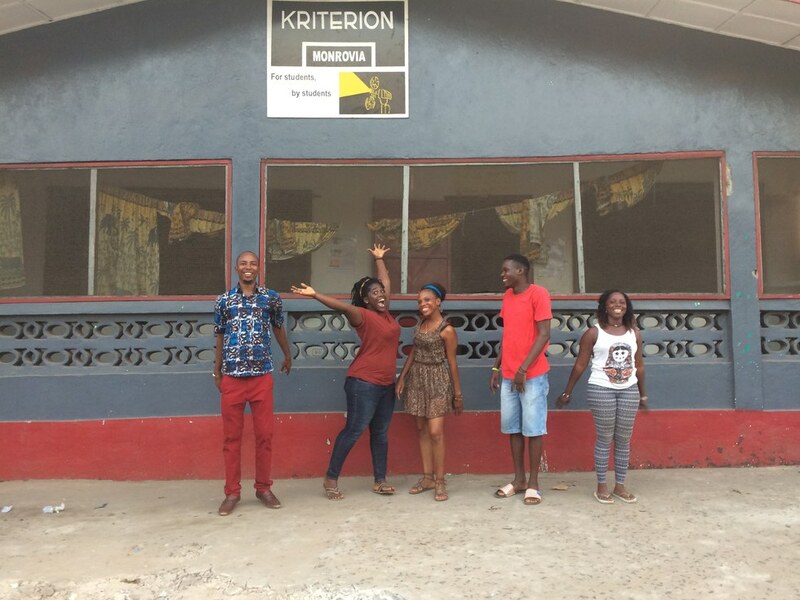 Kriterion Monrovia will provide the opportunity to young Liberians to work on an entrepreneurial project so that they can take those skills and create their own businesses in Liberia. "The important thing about having space is being able to help young people in Liberia," Hodge says . " We will help them to become good entrepreneurs so they can rebuild Liberia and contribute to society." Watching quality movies in a comfortable setting is almost impossible for locals in Monrovia. The only movie theatre in the city is in an upscale shopping mall marketed to expats. Another cinema that only showed Bollywood movies recently closed. Men sell DVDs on street corners throughout the city but the visual quality of these movies is often shoddy. They are often in other languages like Russian or Chinese. Tiny movie booths dot the city showing these poor quality films. "It's so hot," says Hodge when talking about the movie shacks. "Everybody is sweating. You can barely understand or see anything. People are falling asleep on you." Besides lack of a quality cinema, Monrovia also lacks options for leisure activities for young people. For most, a night out on the town includes stopping at a bar for a drink or a restaurant for a cheap meal. The first film Kriterion Monrovia showed to a large group was "Life of Pi" at the University of Liberia in 2011. For most attendees, it was their first time seeing a movie with good sound. 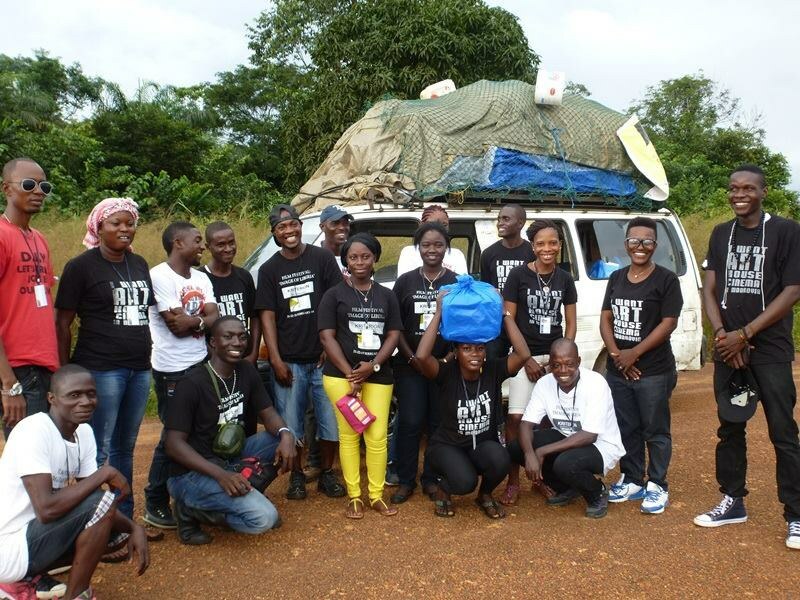 Hodge took the cinema on the road traveling to villages across Liberia to show movies. The movie gatherings became community events attracting the very young up to the very old. When Ebola hit Liberia, Kriterion had to stop its movie showings but the group had developed such good relationships with villages, that it traveled the country implementing an Ebola awareness campaign. Kriterion Monrovia has the support of engineers and architects from Engineers Without Borders, who will design the cinema of their dreams for free. Young Urban Achievers and SPARK will support them with their business model and organizational structure. A poster for their Kriterion, Monrovia's crowdfunding campaign.